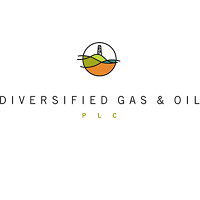 Diversified Gas & Oil PLC (LON: DGOC), the U.S. based owner and operator of natural gas-, natural gas liquids- and oil-producing assets has today announcd that it will be paying a dividend of 3.30 cents per share in respect of the third quarter to the year ended 31 December 2018. The dividend will be paid on 29 March 2019 to those shareholders on the register on 8 March 2019. The dividend will be paid in US dollars. Diversified Gas & Oil PLC confirms that, as previously announced, the Q2 dividend of 2.80 cents per share, announced on 11 September 2018 will be paid on 19 December to shareholders that were on the register on 30 November 2018. Click DGOC for the full archive.